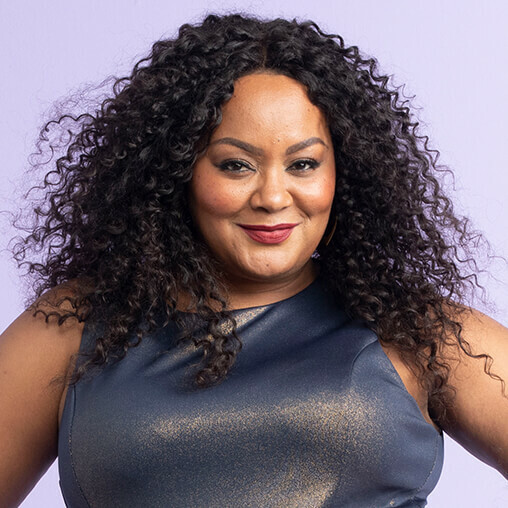 Guest Editor Marie Denee kicks off her month-long blog series on the women of color who have created the space for plus-size brands like Dia&Co to exist in honor of Black History Month. When you look back at the past 10 years in the plus-size fashion community and industry, you cannot help but recognize how far we have come. Even more so, you cannot help but to recognize the women and men who have had a hand in its growth and innovation. But, if you look closer, you will see that quite a few of these change-makers, innovators, and trailblazers are women of color. Before Instagram, before Snapchat, at the dawn of Facebook and Twitter, these change-makers were blazing their own paths and creating their own lane, unapologetically. Before influencers, back when blogging was called a web log, and when online media was still seen as questionable new media, there was an industry, a community, who laid the foundation for the plus-size industry and community we have today. As we enter Black History Month and as my digital platform, The Curvy Fashionista recently turned 10, I am honored that Dia&Co asked me to guest edit this month, to bring you the plus-size pioneers, change-makers, and innovators who have helped plus-size fashion grow to what we know it to be today. If you look at who the media feature, in the plus-size fashion community and industry, you rarely see the women of color who have helped build the community get recognition or even given the same type of platform. But if you look into the industry, at those who have built engaging communities, established businesses, or created empires that have shaped today’s plus-size community, a strong majority of them were built, created, and grown by women of color. The brands, events, bloggers, models, and influencers you see and know today, would not be here without these women of color who have taken the risks, followed their dreams, and created the various lanes that today’s plus-size leaders walk today. 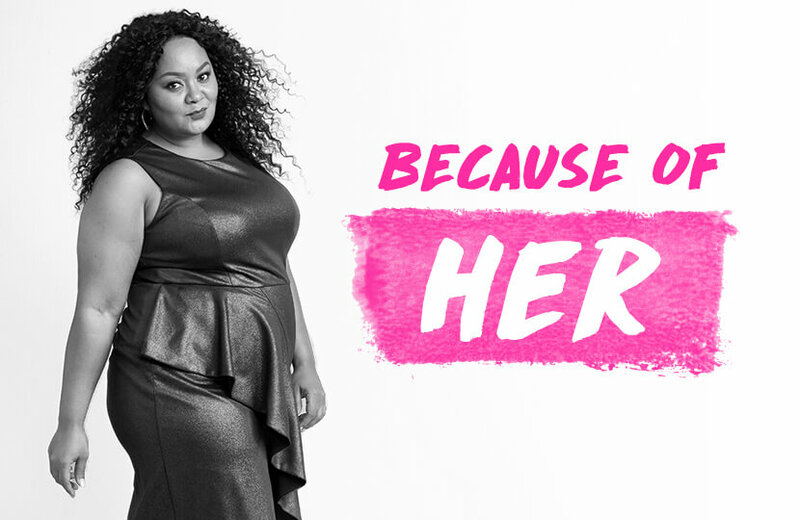 Within the plus-size fashion industry and community, apart from the body activist space, you will find more women of color who have challenged society’s ideals, gone toe-to-toe with media, and who have challenged the keyholders and gatekeepers to be recognized and acknowledged that the plus-size woman wants and needs more of. But mainstream media does not know nor show this. Do you know this? 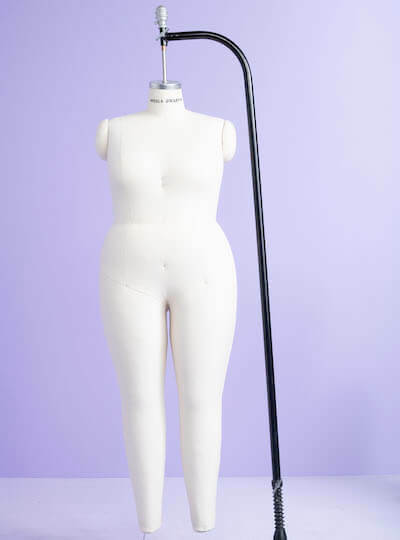 Unlike mainstream fashion, which starts from couture houses down, plus-size fashion has grown from the bottom up. The bottom meaning that this change has been championed by everyday women like you and me, who have organized via social media to mobilize, challenge, and shatter the old stereotypes, tropes, and stories that buyers, agents, and media have long thought of the plus-size woman. 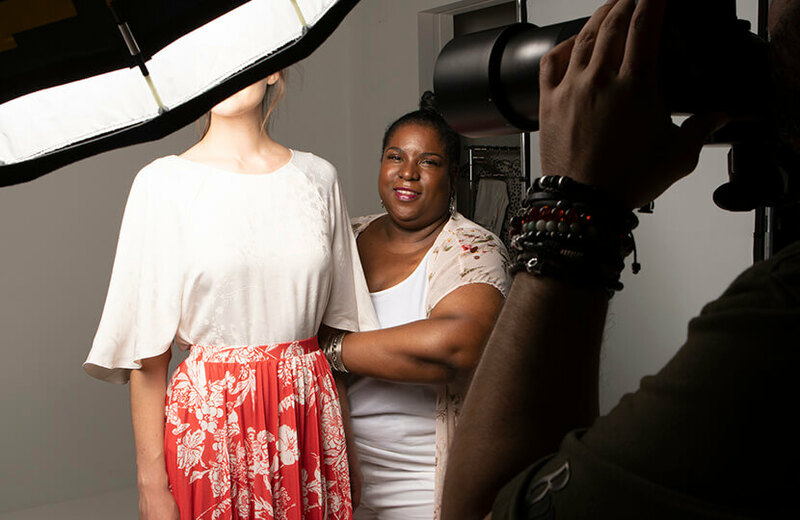 It is our community that has built the platform for the plus-size fashion industry that it is today. It is our own plus-size media, blogs, stylists, plus-size designers, event producers, and influencers who have helped shape today’s plus-size industry and community. At the heart of this growth and movement have been women of color who have largely helped to pave the way for what we have today. Since the media does not often shine a light on these women who have given us the platforms and paved the way for each one of us to celebrate, sashay, and socialize with our fellow plus-size fashion friends, together with Dia&Co, we will showcase and celebrate the women of color who have made plus-size fashion the incredible industry it is today! Make sure that you tune in each week in February as we shine the light on a different group of plus-size pioneers, change agents, and innovators who have helped create the plus-size industry we know today! Here’s to the women of color who help push the industry forward and let’s celebrate them this Black History Month!